Compact workstation with eye-catching finish. 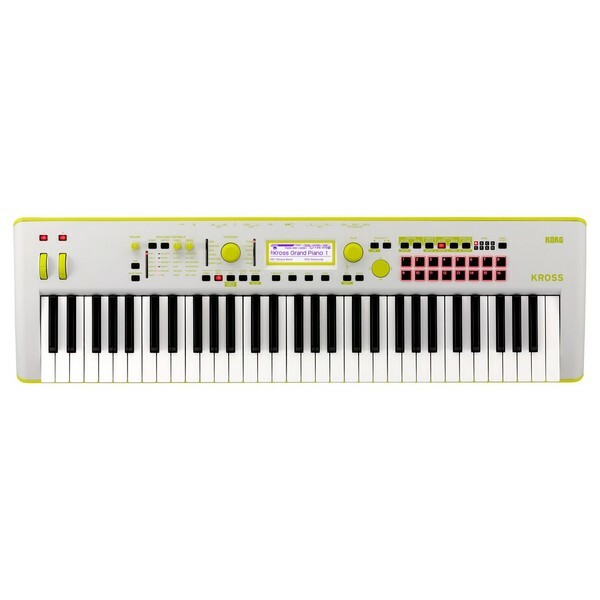 The Korg Kross 61 SE, Neon Green is a special edition version of the celebrated Korg Kross Synthesizer Workstation, featuring a bright green neon finish and additional PCM content. The core EDS-I sound engine provides a wide range of premium-grade effects, up to 134 types in total. It also boasts superb sampling functionality, complete with 16 sampler pads for triggering one-shots, samples, loops and more. 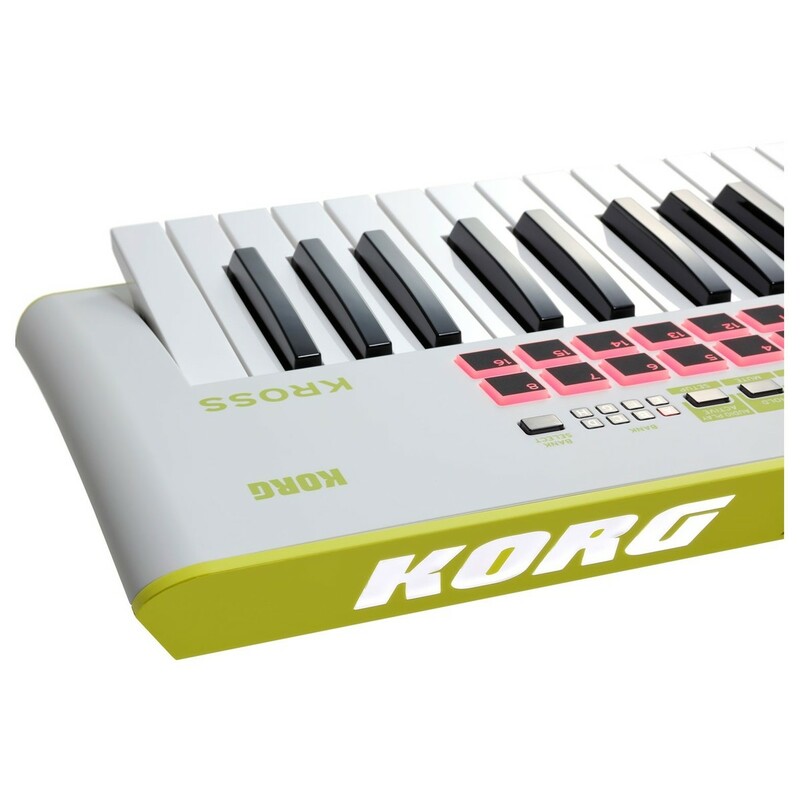 This special edition version of the Korg Kross 61 features a striking neon green finish and brand new PCM content. The special editions feature exclusive PCM comprised of a special pre-installed piano and electric piano sounds. Also included are cutting-edge synth and drum sounds which are ideal for EDM producers, although the genre-defying sounds can be used for a variety of applications. The Korg Kross SE 61 Synthesizer workstation boasts over 1000 presets ranging from beautiful pianos, electric pianos, powerful drums, brass, elegant strings, church organs, synth sounds and much more to create melodies and music in whatever genre you want. You'll never be short of sounds for either studio production or live performances due to its wide range of content that accommodates a broad range of musical styles. In addition, a number of effects are also included allowing you to be as creative as you want with them. The 61 keys are all velocity sensitive allowing you to give your sounds that human touch.